When upgrading the sound system in your vehicle, it’s important to consider every single component in the signal chain – from the amplifier and speakers, to the wiring and terminals. To ensure great quality sound, each part must work together in perfect harmony to deliver the full potential of the system. Wavtech are a company based in Arizona who strive to provide customers with the foundation to pull together every element of their OEM or factory set-up to guarantee a spectacular listening experience. Founded in 2016 by partners Jason Kemmerer and Mike Morris, Wavtech began with a simple goal in mind: to improve the performance of a sound system. With this sharp focus, the pair designed five versatile products for different applications in the vehicle and to solve for both simple and complex installations. Morris states that the range exists “for the professional installer, to make [their] job easier and [their] stores more profitable”. A good, clean signal is critical when upgrading any audio system. The linkD provides just that. This versatile box has dual functionality, acting as a high output voltage line driver, delivering up to 10 RMS of output at less than 60 ohms, and also as an active line output converter, providing the same high output voltage and low impedance. After installing a new audio system, it can be disappointing to discover a poorly imaged soundstage. Another common problem is the loss of bass output due to phasing. Using DSP Time Alignment Technology, the linkT provides a simple solution to these dilemmas. Set up is easy, and you can control the time when the sound reaches your ears so that any soundstage imaging or sub-woofer output problems are corrected at the source. When it comes to adding an amplifier or multiple amplifiers to your factory system, the link4 provides an ideal solution and is the one of the most flexible 4-channel LOC’s on the market. The link4 can accept 2 or 4 channels of input to provide direct, copy or summing output. 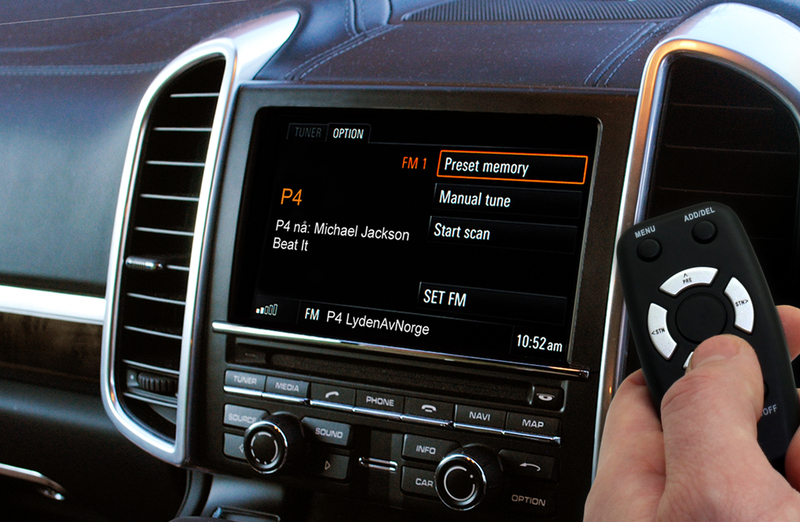 For added dynamism, an aux input and master volume control are also included. Today’s factory installed audio systems are becoming increasingly complex. With many of the vehicles controls and operations integrated into the source unit, replacing it is not a simple task, and some vehicles even have amplifiers dedicated to each individual speaker. When you aren’t satisfied with the OEM system’s sound, these factors make it increasingly difficult to upgrade. The link8 is an 8 channel line output converter designed to give you more options to combat these issues. The bassFREQ is a complete low frequency bass processor solution, with a fully adjustable subsonic filter, a true parametric equaliser and a 24dB per/ octave low-pass crossover. The bassFREQ has RCA inputs but also includes the same class-leading LOC as the link series products, making integration with an OEM system quick and easy.